Also everything that you guys mentioned. Red Coaches like Annie and Claribel, mind you it would make a good convershion. 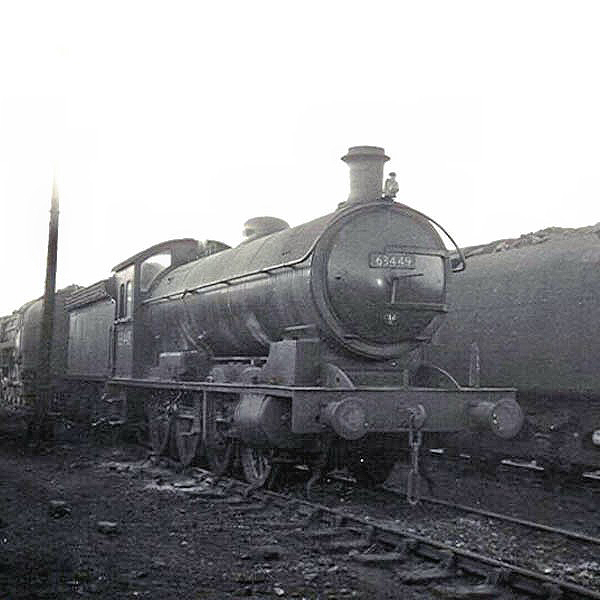 The LNER Q6's were remarkable locomotives. These are just a few of my suggestions for new models, i expect that Murdoch will be released by Bachmann sometime in the near future seeing as Bachmann is working closely with HIT to produce some lovely models depicting the TV Series engines. Good point with Murdoch, I personally think that the same goes for Arthur and Salty maybe Diesel too. Murdoch is a fascinating engine for me, his valve gear is alot different compared to other standard 9F locomotives, most locos have stevenson link motion, and quite a few have the caprotti link motion, i think that is what Murdoch's is? But if he does become available between next year, after Edward and Mavis, that will be something i would look forward to more than anything. Very true I would love to have a Bachmann Murdoch, even if the price will be expensive he will be worth it! Also those are great ideas you got there PRRthomas11. I still think that Arthur will also fit in very well with the range. I seriously doubt Bachmann will drop the contract with HIT, They have produced far too good models in the Thomas range to drop the contract now, so i for one hope that Bachmann will please continue to make such wonderfully detailed Thomas models for a good few years to come. Improved face, chassis and front couplings on Thomas, Percy and James (DCC Ready). A Bachmann Henrietta, would sell well as she goes with Toby. A Bachmann Whiff, if Bachmann are careful, they could re-use the Emily chassis. The Red Coaches, as seen in various episodes, the ones that look like Annie, they could use the Annie tooling with face removed. An easy one for Bachmann. A joint venture between Faller and Bachmann where they make a Faller Road Compatible Bertie, along with Elizibeth and Sir Topham Hatt's Car. On the subject of the Fat Controller, a HO scale version would be good! I'm not too picky, but I've still got a few suggestions. -A faceless Annie/Clarabel would be very easy, seeing that there is already a faceless mould of the exact design currently used for Emily's coaches. -We could MAJORLY do with some more closed vans. It excited me to see the Salt and Cattle wagons released this year, what with Bachmann finally straying from freight stock limited to open wagons and tankers. There are many good moulds in the Bachmann Branchline collection that would fit in perfectly. A Sodor Mail Van and matching Flying Kipper van might require a new mould; I don't think there's any made with bogies, all I've seen are four wheelers. -Everyone's clamoring for a Henrietta, myself included. This'd be the first ready-to-run W&U coach available if they made one. If you're going to make a Toby, why not add a Henrietta to go with him? That's all from me. I'm not particularly picky on which engines they make, but I think Diesel would be a good seller.